During the On Iowa! 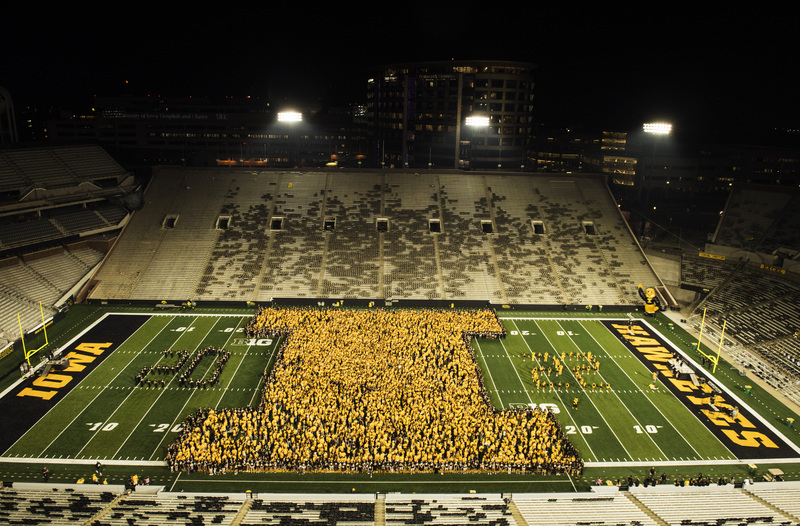 Kickoff at Kinnick, members of the Class of 2022 and transfer students took to the the field for the traditional class picture in the shape of the Iowa "Block I." Check out some of the choice videos and photos from last year's On Iowa! Are you or your friends in any of the pics below? Tag ‘em on the UI Facebook Page's photo albums from On Iowa!